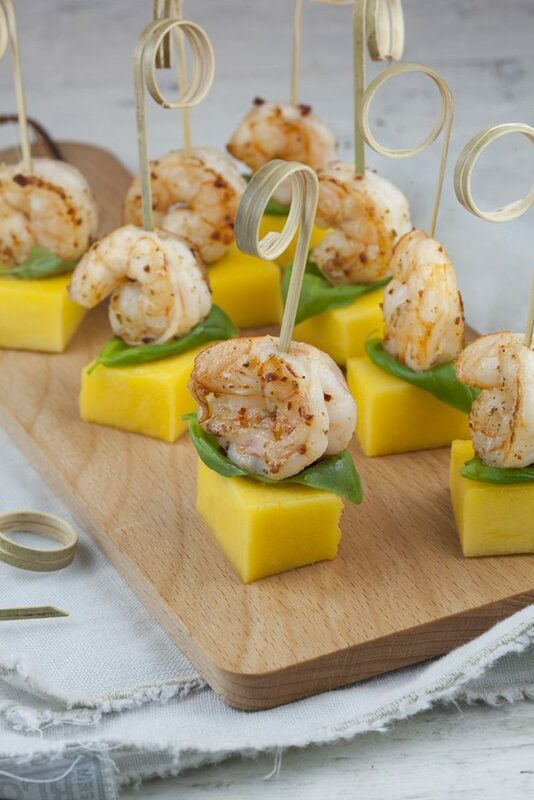 PEEL the mango and slice into quite large squares. PEEL the shrimps if they have not been peeled yet and clean out the intestines. 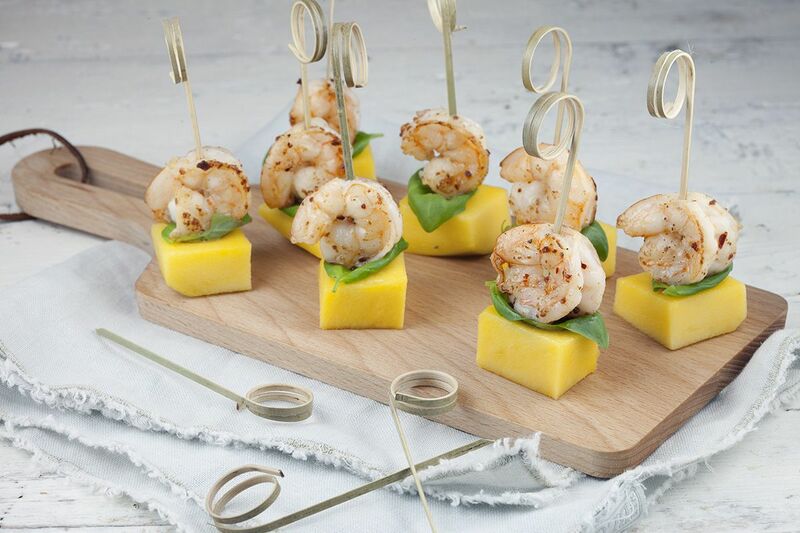 THIS is easily done by slicing the back-side of the shrimp using a sharp knife. You can then remove the intestines very easy. 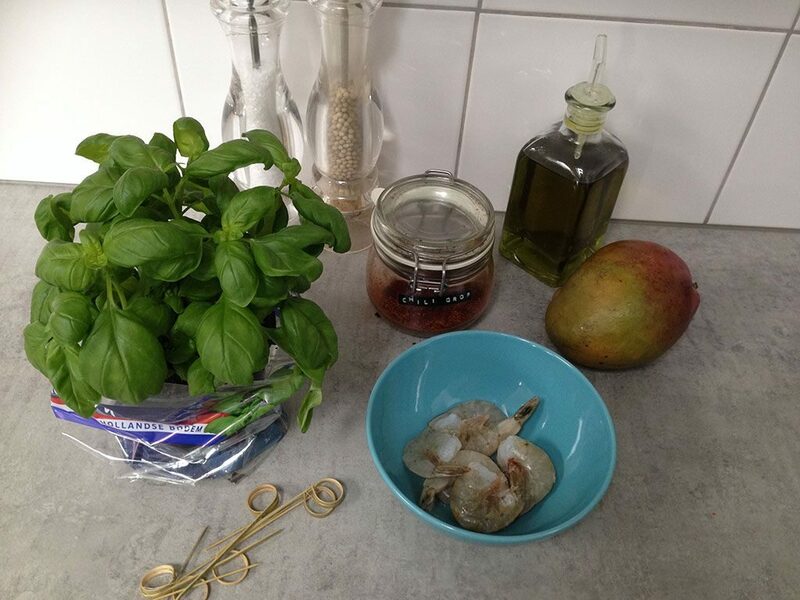 HEAT olive oil in a small skillet and cook the shrimps for a few minutes. SEASON with salt, pepper and coarse chili. 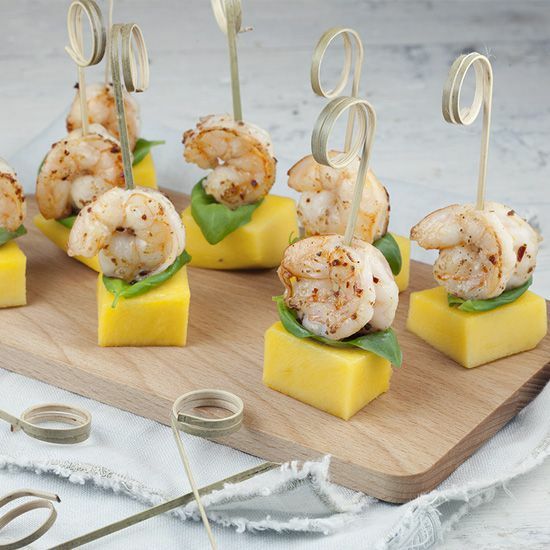 PLACE a basil leave on each mango square and pierce a shrimp on top if it using a wooden skewer. Enjoy!